As part of its Healthy for Life® 20 By 20 commitment with the American Heart Association (AHA), Aramark is finding creative ways to include more fruits and vegetables on menus, as well as joining in plant-based culinary trainings with the Humane Society of the United States (HSUS) to bring even more innovation to recipes. 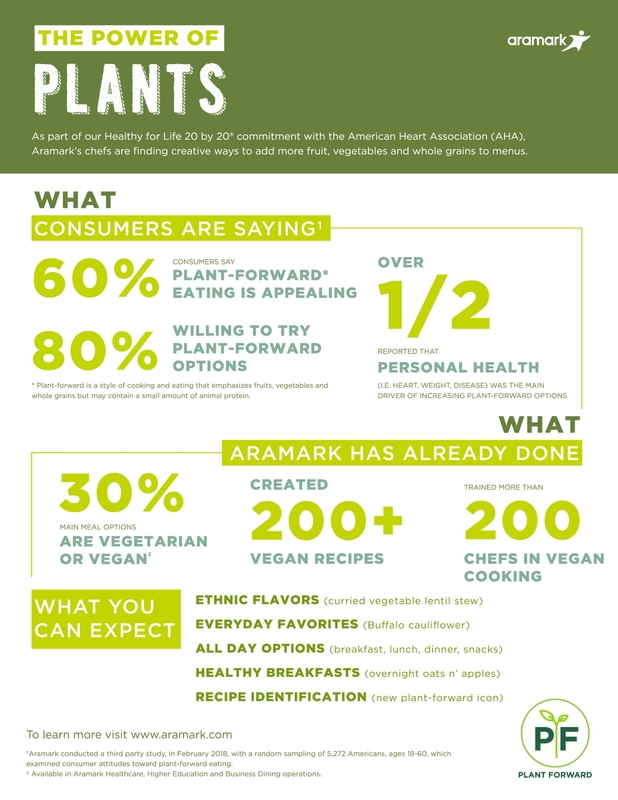 More than 200 Aramark chefs have participated in a series of plant-based culinary trainings. For more information, visit our Nourish blog.